The France Digitale association brings together French digital entrepreneurs and investors. With over 1700 members, Communication & Entreprise is the largest association of corporate communication in France. As such, it plays a referent role of representation and promote the profession. Esprits d'entreprises is a network of entrepreneurs and leaders shareholders in their company, founded in 2003 by Diaa Elyaacoubi and Bernard Ochs. 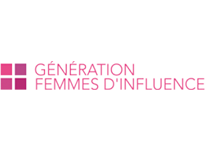 Génération Femmes d'Influence wants to gather all the women who are dedicated to the company: the leaders of TPE women, " Top Managers " of major groups and women in senior management. All share a taste of action and the desire to grow professionally. It is a laboratory of ideas and practical solutions for each of its members. As independent communication consultancies working together in our clients’ interests, PR World Alliance's partners draw upon decades of experience helping some of the largest organizations in the world with their most daunting challenges. Réseau Entreprendre is a network of business leaders accompanying the new entrepreneurs. Syndicat du Conseil en Relations Publics wants to be the active spokesman of multiple expertises in Public Relations (digital communication, e-reputation, influence, sensitive communication and crisis, public affairs, media relations, direct communication with stakeholders, ...) and recognized the expertise of the agencies they represent. In a rapidly changing world, thenetworkone provides independent agency Owners and Senior Directors with the opportunity to stay ahead, network, share and learn either in person or, online through regular member workshops, a global conference or, specialist publications.